Need help activating the APN Settings on your iPhone 7? In this article we will quickly guide you on how to verify, update and reset the APN Settings on your iPhone 7 and 7 Plus and help you solve the most common internet and data issues. The iPhone 7 is undoubtedly still one of the best value iPhones our in the market, it still supports the latest release of iOS 11 and iOS 12 while being an accessible phone. One of the nicest thing on the phone is the capability of using a big variety of Apps and enjoying the high-speed connectivity if offers through the enhanced 4G or LTE speed connection. This will only be possible if your iPhone have the correct APN Settings installed on it, otherwise you will not able to browse the internet nor send or receive multimedia or picture messages on it. Since some early releases of iOS, Apple introduce an automatic feature on the iPhone to retrieve the APN Settings from the network provider, thus alleviating the trouble for users to deal with that. 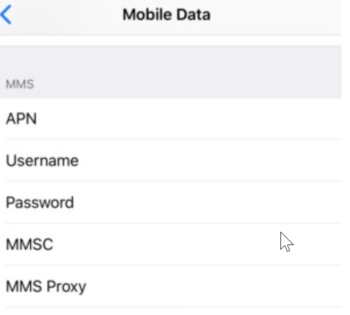 In some cases, the carrier does still allow users to add or edit their APN or Data Settings on the iPhone. To do this, Go to Settings, Cellular, Cellular Data Network and tab on the Reset Settings Button. In some newer version of iOS, the menu has been moved to Settings – General – Reset, from there you will see Reset Network Settings.